The Migraine Warrior – Empathize. Educate. Empower. Hi! 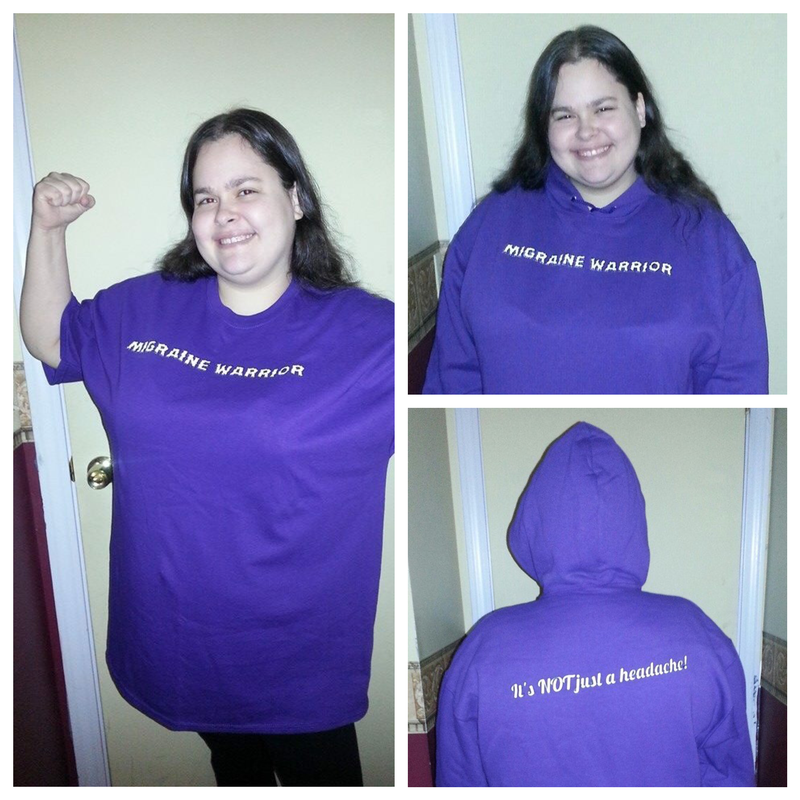 My name is Michelle Tracy (also known as The Migraine Warrior) and I am a patient advocate for migraine disease and other headache disorders. I was diagnosed with chronic migraine disease 13 years ago at the age of 19. Shortly after my diagnosis, I began to write as a way to process my feelings about this chronic and incurable disease that seemed to descend upon me overnight. Soon, I became involved in online and local advocacy work and The Migraine Warrior blog and Facebook page were born. In the past few years, I’ve had a variety of incredible opportunities to work with doctors and other patient advocates as we work to raise awareness, educate, and erase the stigma associated with migraine disease. I’ve met friends who have become family. This year I am participating in the Miles for Migraine Virtual Race. This means that I can complete the 1 mile walk in my own neighborhood during the month of October whenever I am feeling up to the challenge. My plan is to complete it on Sunday October 15, 2017 to coincide with the Miles for Migraine Event that will be taking place that day in Washington, D.C. Could you please help me reach or exceed my pledging goal of $500? Any donation is appreciated. If you’re unsure about what amount to give, might I suggest $33 in honor of my 33rd birthday which is on October 27? Or perhaps you’d like to donate $13 since it has been 13 years since I was diagnosed with chronic migraine disease? How about $4 since I was diagnosed in ’04? Whatever amount feels right to you is much appreciated. Thank you so much for all of your continued support and please don’t forget to share this with other folks who may want to donate. Thanks! Click here to donate! Want to know more about Miles for Migraine? Click here! Tags #MilesForMigraine, advocacy, advocate, awareness, blog, Blogger, blogging, Caring Is Curing, chronic migraine, Chronic Migraine Disease, Educate, Erase The Stigma, Headache Disorders, Michelle L. Tracy, Michelle Tracy, Migraine Disease, Migraine Matters, Miles for Migraine, More Than A Migraineur, Move Against Migraine, My Mindful Migraine, October, PAIN WARRIOR, Patient, Patient Advocate, stigma, stop the stigma, The Migraine Warrior, Virtual Race, Washington D.C. The Migraine World Summit is going on as we speak and it’s an opportunity for you to access some of the best and brightest minds in the field of migraine and headache disorders without even having to get out of bed. I’m furiously taking notes which I will make available here on my blog soon. In the meantime, I’d like to urge you to take advantage of this opportunity by clicking on the link above and watching as many of the interviews as possible. You can also purchase an all-access pass that allows you to access all of the interviews and additional information at any time, even after the summit has concluded. With this option, you can watch the interviews at your leisure, stopping and starting as you please, without feeling pressed for time. In my previous post, I wrote briefly about Dr. Robert Cowan’s lecture on migraine causes and triggers as well as the increasing role of technology in the diagnosis and treatment of migraine. It’s a must-see interview for anyone living with migraine. Today, I’d like to suggest that you watch the interview with Dr. Eric Baron from the Cleveland Clinic Neurological Institute. He gives a fascinating history of medical cannibis (marijuana) as well as a summary of how it’s being used today for a variety of conditions, including migraine and other headache disorders. He gives an in-depth look at the political climate that affects the use of marijuana both medically and recreationally as well as discussing the challenges faced by doctors, patients, and researchers seeking more information about medical cannibis in the United States. (Though 23 states, as well as Washington D.C. have voted to legalize medical cannibis, it is still illegal at the federal level.) I’ll post a longer summary once I’ve organized my notes but I suggest you watch this interview yourself as well. Perhaps you may even opt to share this with your migraine/headache specialist. I hope you enjoy Dr. Baron’s presentation as much as I did. Feel free to leave comments on this post or to e-mail me at themigrainewarrior@gmail.com with any further comments or questions. Wishing you a low-pain day and hoping that you are as well as possible.